Children are growing up and living in a world that is becoming a global village. They need to learn how to cooperate successfully with people of different races, cultures and religions. Every year on the third Monday in January, we honor Dr. Martin Luther King Jr., a man who wanted equality for all people. He had a dream for all Americans that no matter what race, culture, or religion you follow, people should be treated the same way. Use this holiday to encourage preschoolers to notice all the ways in which we are alike and different – hair color, skin color, eyes, height, shape, and so on. Use these projects as your beginning lesson on diversity. Here’s a simple project to look at how we can look different on the outside, yet be the same on the inside. Gather eggs, both white and brown shells. Following a discussion on our likeness and differences, show them white and brown eggs. Discuss the similarities and differences in the eggs – they are both oval, yet they are different colors. Break each egg into the bowl and dispose of the shell. This is best done above the children’s eye level. Can they tell which yolk came from which egg? No, because just like people, even though we may look different on the outside, we’re all the same on the inside. Use these eggs to cook up a healthy lunch or snack. 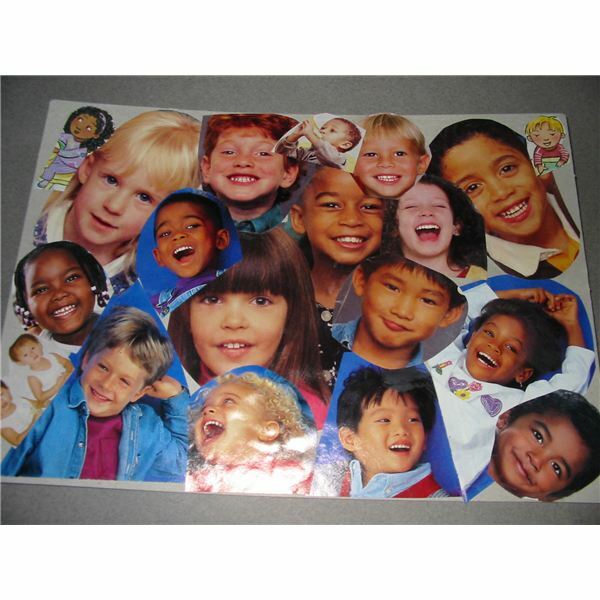 Help the children by tracing their hands onto various skin tone colors of construction paper. Use brown, white, red, and yellow to represent the skin tones found across our nation. Invite the children to cut out the tracings with safety scissors. The preschoolers can help you to glue these handprints together in a chain-like fashion, and you can make it as long as you like. Use this garland to frame a bulletin board or a cute swag across a window or doorway. Sing this piggyback song together to teach children to have a positive attitude about differences in others. Sing to the tune of “Row, Row, Row Your Boat." Ask the children if they ever look up at the clouds and daydream or picture things they want to do. 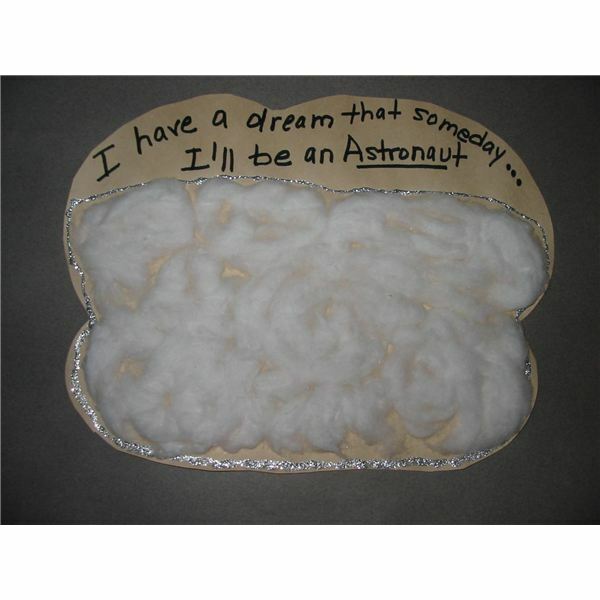 For a project, have the children cut out a cloud shape from white or gray construction paper. Talk with the children about their dreams, and tell them that Dr. Martin Luther King Jr. had dreams as well. The children may talk about wishes or what they want to be when they grow up. On the cloud-shape, the teacher can write, “I have a dream _____" with a black marker. Fill in the blank with the child’s thoughts. The children can finish this art project by gluing white cotton to make this a fluffy cloud. The universal symbol of peace, the dove, makes a fun art project using hands. This activity gives you a chance to talk about what peace and goodwill mean in your school, community, and at home. Before you begin, show the children a picture of a dove from a book or magazine. Show them how their hands can become birds by moving them. Give each child a sheet of construction paper, crayons, and safety scissors. Help each child with the tracing of the hands. Take one hand and trace around the hand and extend down to the wrist facing to the left. Next, take the opposite hand and trace to the right overlapping with the thumbs. The thumbs form the head of the dove and the hands become its wings. Invite the children to color their doves.